I got to shoot the H-110, 22 grains on top of the 300 g XYP's on Thursday morning. This load's velocity is 1470 fps, basically 30 fps slower that the Lil'Gun loads. I lost 2 inches of penetration but gained a little expansion even though the "mushroom wasn't quite as pretty. Also, I a few grains of weight retention. I looking for 30" penetration. I'm going work up this load with more powder. I'm betting that I'm going to max out at my comfort level before I achieve my 30+ inch penetration target. I'm ordering 300g XTP magnums tomorrow. I"m thinking that I might give up a little expansion, say something like .65 to get more penetration. This is all a tight rope walk above the unknown (the bear) for me. All I can do is to test and give it my best educated guess. Just for curiosity, I fired a Lee C452-300-RF gas checked hard cast bullet on top of 23.0 grains of H-110 into 5 bags of wet sawdust. It shot through all of them, 58 inches of penetration. I need more sawdust. Last edited by Moon Tree on 07 Feb 2017 00, edited 3 times in total. that lee will flat smoke anything you shoot with it. you don't need a ton of velocity or hardness for it to do it. and it saves a bunch of money too. runfiverun, I agree with you about the Lee C452-300-RF gas checked hard cast bullet on paper and with my very limited field experience with that bullet. 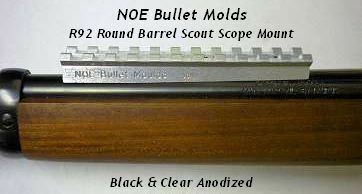 In reality the .45 cal is already creating a bigger hole than the mushroomed bullet of many deer rifles. My reason for playing with the XTP's is to attempt to release as much of the energy inside the animal as possible while still getting an exit wound. And, it's fun play around with loads. I was able to shoot some more feed bags stuffed with wet, compacted sawdust, today. I think I have my bear load. Note: the 4 pedal XTP magnums create a square mushroom profile. As a test baseline, I fired a standard 300 grain XTP into the bags of sawdust as a way to test my consistency of my medium. This round penetrated 28 inches, which is the parameters of my previous tests of this round. I'm liking this round for bear hunting because it expands beyond the .452 cast bullet, which means it will dump more energy into the vital than a the cast bullet will do. And, it produces enough penetration, that I feel will shoot through a 300 to 400 lb. bear. Hopefully, I'll find out next Nov. on a coastal North Carolina black bear hunt. Really good stuff, Moon Tree. Thanks for the thorough research and the clear posts. This looks to be an effective elk round, too. Great work and report Moon Tree! Really different how the mag bullet forms a square! I've seen 4 leaf exit holes in the hides of elk I've shot with 8 mm and 9,3 mm Barnes X bullets. What bullets do and where they go after impact fascinates me. I'm always torn between hoping for an exit hole, and anticipating digging around in the innards to find the spent projectile. 9x80Drilling wrote: I'm always torn between hoping for an exit hole, and anticipating digging around in the innards to find the spent projectile. Good work, thats quite the set up you got there. Try throwing a few big cow bones in those bags sometime just for grins, I would like to see those results.